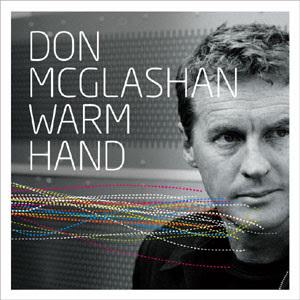 Heading back from the US for the fourth time in as many months, I sat back and listened on Air New Zealand's in-flight entertainment system to Don McGlashan's magical solo album Warm Hand. I was never a huge fan of the Mutton Birds, though Anchor Me and their cover of Nature have to go down among the best songs to come out of NZ. My favourite McGlashan material is the stuff from The Front Lawn albums. If you grew up in Auckland, songs like Andy will have particular resonance. I've listened to Warm Hand several times and I have to agree with my Herald boss Russell Baillie, the Time Out editor who suggested it was "underfed" and that the definitive McGlashan solo album is still a chapter away. Still, Warm Hand has three brilliant songs - opener This Is London, the glorious Miracle Sun (though why Don didn't reprise the fantastic chorus for a anthematic ending is puzzling). That song incidentally seems to have evolved from the theme music to that great NZ Post ad, which Don must have penned in his other guise as hardworking session and soundtrack musician. The album highlight however is Toy Factory Fire. It's about a devastating fire in a Bangkok in May, 1993 and tells the story of the New York PR man who helped cover up the shocking details of what happened in the sweatshop factory.